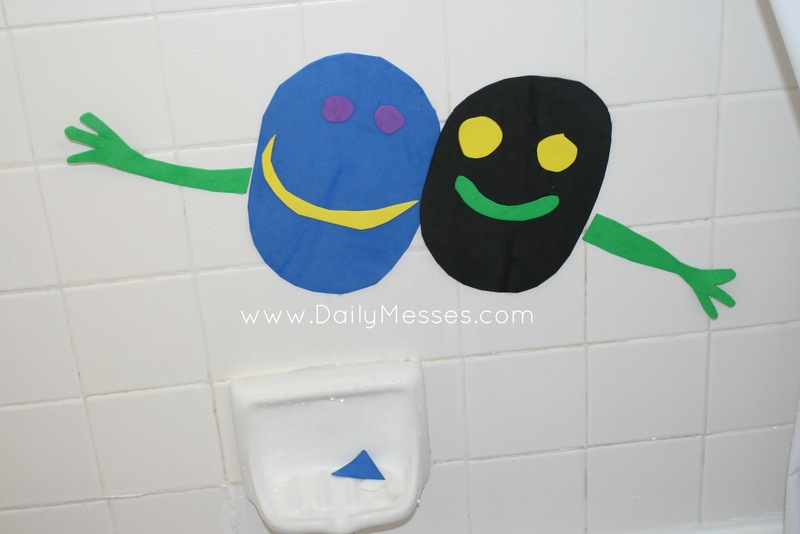 Daily Messes: Ahhh! Monsters In The Bath! Ahhh! 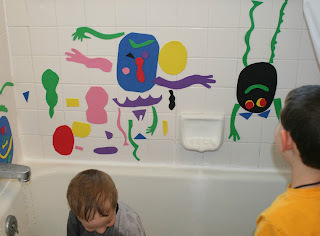 Monsters In The Bath! My kids love bath time, but I don't want to buy any more huge bath toys. 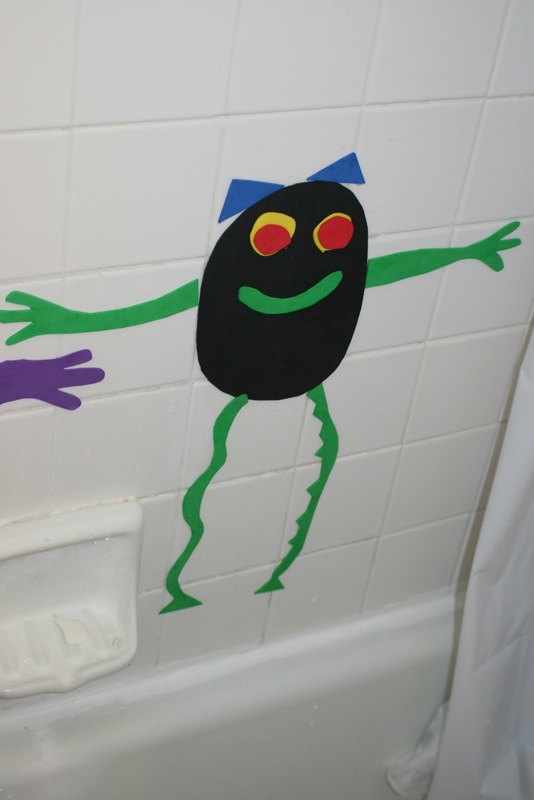 These monsters are the perfect way for them to have endless fun in the tub without taking up a lot of room. 1. Cut out shapes. It doesn't really matter if they are perfect! I cut large ovals for bodies, a few arms/legs with 3 fingers/toes, a few small round shapes (for eyes, dots, etc. ), triangles (scales, horns, etc. ), medium shaped circles or ovals for heads, and a few crescent shapes for mouths. 2. Lightly moisten the back of the shapes and press firmly on the bath tub wall or on the tile walls. HINT: MONSTERS ARE NOT JUST FOR BATH TIME! If the kids are driving you crazy on a cold or rainy day and you don't care about them getting wet, these are a fun way to keep them busy. 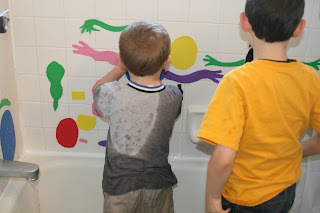 Just leave the water on a trickle and they can stand or sit on the edge of the tub and make their monsters! These are so adorable!!! What a great idea! I am going to have to try these, maybe for Halloween. I wonder if they will stick to the windows?? ?